Tuesday blogs are now transformation Tuesday’s. By this I mean tricks and DIY projects that can transform your home. There are many simple things you can do to spruce up your home. Windows are a main focal point in a home. Your window appeal can go from bland to grand. We look out of them every day but have you ever thought of ways to spruce them up? Painting a room in your home can create a more inviting and diverse atmosphere. One room can have a warm, comfortable feel while another room has a cool, rustic feel. It is amazing what a few gallons of paint can do to transform a room. Windows: Some homes have multiple styles of windows such as standard double hung windows, casement, awning, and bay windows throughout their home. Homeowners use a variety of window treatments for the home. Shades, blinds, drapes and valances are a few examples. 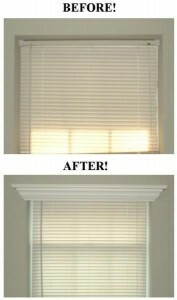 There is an outside the box option to spruce up your windows, crown molding. Yep you heard that correctly. This picture comes from buzzfeed.com, take a look. 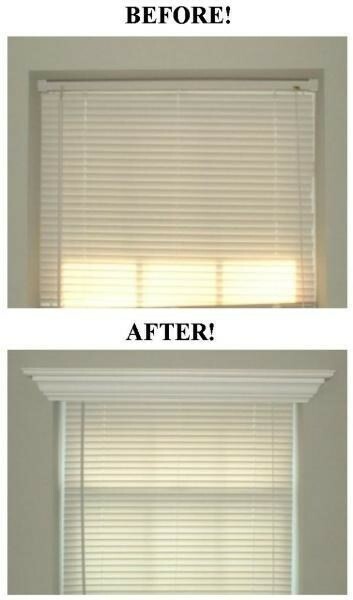 Adding crown molding to the top of the window immediately adds a clean and sophisticated look to your home. Going from dark to light in this case, but you can of course go from light to dark. You can also change the hardware on the cabinets to add in a change of design. 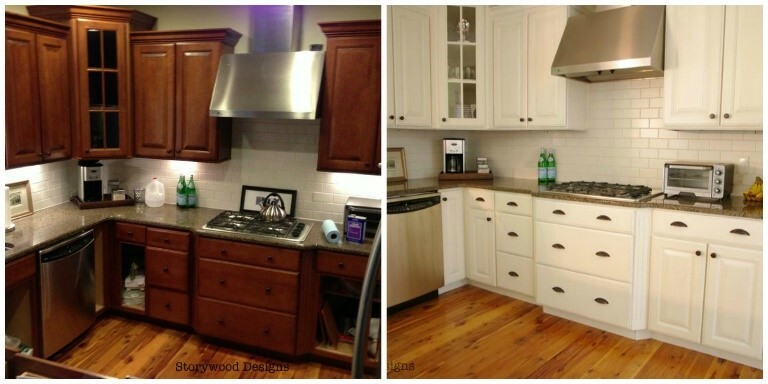 The possibilities are endless when it comes to DIY kitchen upgrades. All in all there are multiple ways to add a little transformation to your home. I hope that you all enjoy these fun projects and if you have any ideas for future Home Transformation Tuesday let me know! I love the crown molding around the windows. It gives a completely different look.